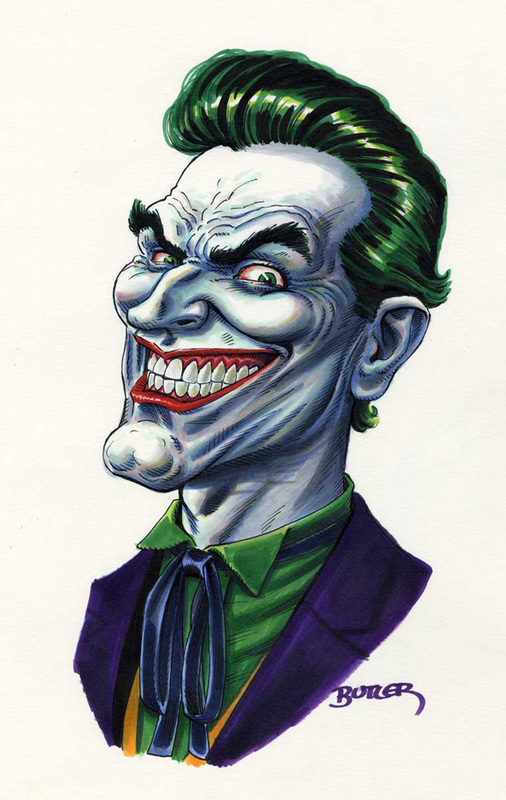 While I eventually sold this piece, it was done as a personal examination of the classic Joker. The character has gone through a lot of visual interpretations over the years. Some recent versions are fairly radical and stray too far from the source, in my opinion. This was my attempt to capture the character as I see him… in perhaps a more traditional approach.